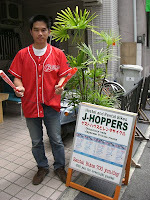 We had a guest from Chiba who is going to the baseball stadium to support the Hiroshima Carp. I don't know much about baseball. 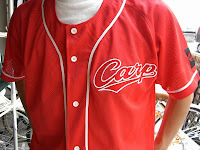 But I'm glad when I hear that someone is a Carps fan. The Hiroshima carp was established as a professional baseball team as part of the reconstruction process after the devastation of the atomic bomb. The team is named after the fish, carp because Japanese people consider carp to be strong, powerful and resourceful. The people of Hiroshima hoped to have these qualities. Yesterday I heard the sound of the fan's cheering when I was crossing a bridge at the peace memorial park. I felt happy hearing the sound knowing that we have peace and the many who perished and are buried beneath the ground can also rest in peace.